One moonless night a few of them snuck down to the beach. The phosphorescence surrounded them, silver flecks of light that surged and streamed and made James and the others boyish in the night. They lost themselves in the fire-lit water, floating and dipping and splashing, holding up hands to watch the light slip off their blackened fingertips. As long as James lived he would never forget the night the sea was silvered with the white sparks. Then a bullet slapped the water and they crept back to the trenches. Before he tried to sleep in his earth-bed, James saw a shooting star and formalised the wish he’d carried with him from home: to stay alive and kill no man. 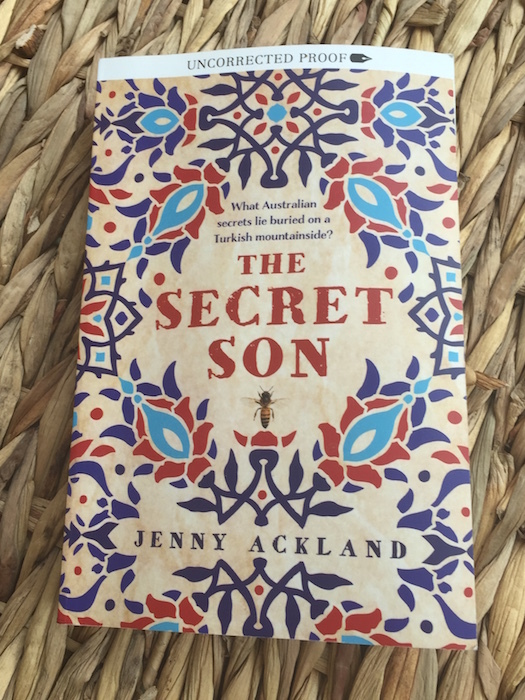 My review of Jenny Ackland’s debut novel, The Secret Son, is featured over at Newtown Review of Books today. If you’ve got a moment, why not make your way over to NRB and have a read?